Mosmatic DGR inline rotary unions are Full flow inline swivels for applications in the most demanding environments. All Stainless construction along with dual radial and thrust bearings allow this unit to be put in some of your most abusive and demanding installations. Maintenance free, sealed and lubricated design allows worry free application. The quad bearing design protects against the PUSH–PULL while heavy side loads are taken care of with axle style support by having radial bearings at both ends. Standard sizes from ½” up to 2” available in Female x Female or Female x Male. 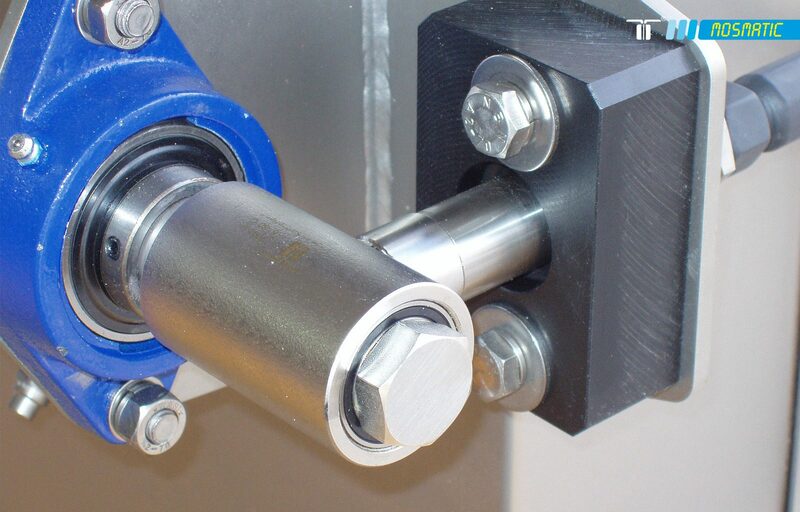 A swivel union that ads proof that Mosmatic is the Industrial choice. Heavy Industrial Duty 90° WDRS rotary unions are available for almost any of your High demand applications Sizes from 3/8″ to 2″ and 4 style configurations. Heavy Duty All Stainless construction and large Radial axle design make easy work of heavy side load installations. The WDRS series can be installed inplace to take rotation or optional motor shaft allows driven applications. Able to take pressures to 3000 psi makes this your Industrial choice when you need reliability and piece of mind.